Growing advocacy for transparency and access to results of clinical trials has prompted considerable debate on the topic of open access publishing and highlighted a lack of common understanding of what open access is, why it is important, and how it works. Consistent with our goal of promoting greater transparency in industry-sponsored publications, MPIP has developed a reference site to raise awareness of open access, including its importance in meeting shared transparency goals. MPIP has developed several publications highlighting “best practices” gathered from our research and ongoing dialogue with medical journal editors, industry experts, authors, and other interested parties regarding ways to continue to improve transparency in reporting the results of industry-sponsored research. 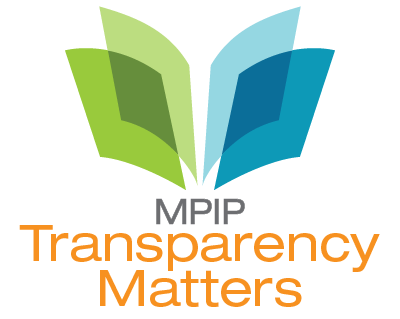 View, print, or distribute the MPIP Transparency Matters educational flyer.